In 1905, Services such as Baptisms, Weddings, Funerals and the Divine Liturgy were held in people’s homes. As we began to grow, Saint Paul’s Episcopal Church, which at that time was located at Saint Paul and Bank Street, demonstrated great generosity by making its facilities available. 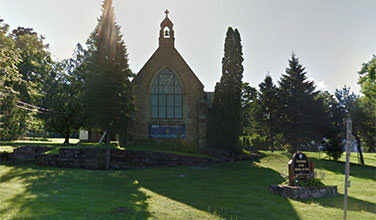 For several decades, the Burlington Orthodox faithful held services at Saint Paul’s until we moved to our present location in 1958.